It is a frightening and stressfull event to be charged with domestic violence, especially in the world we live in today. If you are innocent, it is imperative to protect your innocence against an accusation like this. A domestic violence conviction can affect your ability to get a job, your freedom, your gun rights, and your way of life. Very few people overcome the stigma of a domestic violence conviction and most are labeled an abuser for the rest of their lives. There is no reason that you should let this happen. The Police Have Arrived. Now What? It doesn’t matter whether you called the police, or someone in your home called the police. If they have arrived for a domestic violence call, most likely someone is getting arrested and they will be removed from the home. 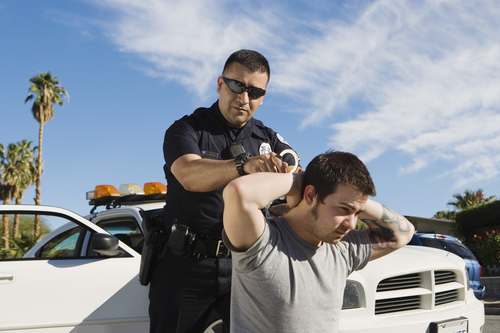 There is a mandatory arrest policy if the police witness a physical altercation or there is evidence of an assault. In the state of Nevada, if someone has filed the complaint of domestic violence against you, they can’t drop the charges even if they want to. It is mandatory that the prosecutor pursue the charge unless they believe they can prove it beyond a reasonable doubt. If you have been charged with domestic violence and you are the one being arrested, here are few guidelines that you will want to follow. An arrest for domestic violence does not mean that you are guilty. You have no need to defend your actions to the police. In fact, anything you say about the incident can be included in their report and used against you during the trial. Treat the police with civility and respect. Saying anything negative about them or to them will only hurt your chances of a dismissal. The only thing you will want to say is “I want to invoke my right to remain silent.” By saying it out loud you are on the record as affirmatively claiming your right, and there is nothing wrong about doing this. Once you are allowed to use a phone, place a call to a qualified domestic violence lawyer. Being charged with domestic violence is a serious matter. Do not give a verbal or written statement to the police without seeking advice from an attorney. Do not discuss the case with anyone else over the phone from the jail because it is recorded. An attorney can help you avoid the pitfalls of being interrogated alone. It can be frustrating waiting in jail to get out, especially because there is a 12-hour “cool down” period before you are eligible to be released. Stay calm. After being released from police custody you will need to work with your domestic violence lawyer to begin gathering evidence to protect your innocence. Witnesses and video footage can be used to corroborate your legal defense. Make sure your witnesses can be available on the date of your trial. If you are pleading self-defense, then be sure to take any pictures of bodily injuries that you may have incurred during the altercation. Your domestic violence lawyer can further explain the laws related to a domestic violence charge and any other evidence that will help your case. It is not a good idea to defend yourself against domestic violence charges. Judges and prosecutors take these matters very seriously. You need a proven defense lawyer on your side that will see you through every step of gathering evidence, building a case, and defending you at trial. Jesse Kalter has gotten countless domestic violence charges dismissed or reduced. He has an in-depth understanding of the law that surrounds them. He has a relentless pursuit of justice and can assist you day or night. Jesse Kalter is available to serve the people of Reno, Sparks, Carson City, Fallon, Fernley, Dayton, Yerington, Douglas County, and all other Northern NV rural counties. An Experienced Domestic Violence Lawyer For Your Day in Court.